BULLHEAD CITY, Ariz. -- After an eight-year-old Arizona girl was found dead in a shallow grave Wednesday, police say shoeprints linked a family friend who was staying in the child's home to her murder. 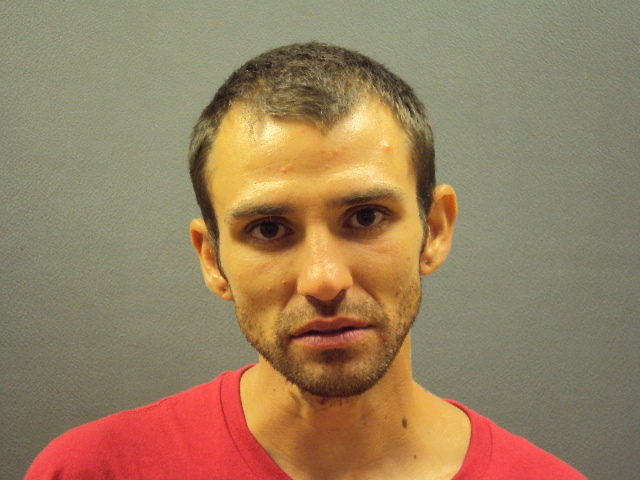 Justin James Rector, 26, is being held without bond at the Mohave County jail, accused of kidnapping and killing Isabella "Bella" Grogan-Cannella. The girl was last seen alive late Monday night at her home in Bullhead City, Police Chief Brian Williamson said at a news conference Thursday. Bullhead City is on the Arizona-Nevada border some 100 miles southeast of Las Vegas. The girl's disappearance sparked a massive search, and the National Center for Missing and Exploited Children and the FBI were called in to help local investigators. A medical examiner confirmed that a body found by a search team around noon Wednesday in a shallow grave near the home is Isabella, according to Williamson. Williamson said Isabella's 10-year-old sister told police Isabella was with Rector when the sister went to the bathroom around 11:30 p.m. Monday. When she left the bathroom, she said Rector and her sister were gone. Isabella's sister "did not hear yelling or any kind of disturbance," Williamson said. Rector, whom Williamson described as a "family friend," had been staying at Isabella's home for several days. Williamson alleged Rector shoplifted clothes from a Walmart to change into, and attempted to hide the clothes he had been wearing. Police questioned him and took him into custody Tuesday on shoplifting charges. Investigators confirmed Rector did not go to a friend's house after leaving Isabella's home, as he had told police, Williamson said. Technicians uncovered "unique shoeprints" at the crime scene that matched Rector's shoes, according to Williamson. Court records indicate Rector has a lengthy criminal record involving a dozen cases in the Bullhead City area between 2006 and 2014. His convictions included disorderly conduct, possession of drug paraphernalia, criminal damage, aggravated assault, assault and criminal trespassing. The residents of the home include Isabella's mother, stepfather and other children who are not Isabella's siblings, police Lt. Jerry Duke told the Associated Press. He added that Isabella's biological father is not in the area. There were no signs of a struggle or break-in at the home, police have said. Williamson did not address how the child died, or comment on a motive. "It didn't go the way we all wanted it to go - we set out to find Bella alive and bring her back home," Williamson said. "But we've completed the mission of bringing someone to justice for Bella's death."